Chiropractic is a form of conservative health care. It is drugless, non-invasive, and actively promotes health. Chiropractic care uses natural health methods such as chiropractic adjustment, therapeutic exercise, diet and lifestyle modification, and many other scientifically proven methods to treat injury or disease, and promote wellness. Chiropractic care is holistic, meaning that a person’s health is looked at as a whole, not just a collection of parts. For example, if a person comes in with foot pain, the foot is not the only thing that is examined. The way a person walks, their foot-wear, exercise habits, work environment, nearby joint problems that might be contributing, and even the possibility of systemic disease is addressed. Chiropractors have the education and expertise to diagnose and manage many different health problems, but if your health issue could be better treated by another health care provider, then the appropriate referral will be made. We have massage therapists on staff at the clinic. Massage, bodywork and somatic therapies are defined as the application of various techniques to the muscular structure and soft tissues of the human body. As an accepted part of many physical rehabilitation programs, massage therapy can be beneficial for many chronic conditions and also helps relieve the stress and tension of everyday living that can lead to disease and illness. Swedish Massage - Light to average pressure to balance tension and stress. Shiatsu Massage - Traditional acupressure work. Lymphatic Massage - Clears congestion in the lymph nodes and detoxifies the body. Sports Massage - Techniques used for the athlete. Deep Tissue Massage - Deep muscle massage to relieve muscle pain and cramping. Reiki Massage - Japanese technique for relieving stress through a spiritually guided life force energy. If you would like to bill your insurance for massage, then a referral from one of our Chiropractors is required. To determine if massage therapy is covered by your insurance, you would need to call your insurance company and ask if massage therapy provided by a massage therapist is a covered benefit of your policy. You must cancel massage appointments at least 24 hours in advance or you may be charged a cancellation fee. Fourteen major energy channels called meridians course through the human body including the head, arms, hands, legs, feet, torso and internal organs. A subtle energy called Chi (pronounced chee) circulates via the meridians to all parts of the body, even the remote cells. Several thousand years ago Chinese physicians discovered that Chi, the vital force, circulates throughout the body along fourteen major channels, twelve of which are duplicated on the left and right sides of the body. The two other major channels are located in the center of the body, one in the front, the other in the back. And there are a number of so-called Extra Channels and Miscellaneous Channels through-out the body. Today, English-speaking acupuncturists usually call the channels "meridians." Meridians form a highly-complex invisible network transporting and directing Chi to every part of the body including the head, arms, legs, torso, organs and systems. Good health, Chinese sages of old discovered, depends on a balanced circulation of Chi throughout the meridians. Over centuries of trial and error and meticulous observations, the Chinese accurately mapped the locations of the meridians and identified hundreds of specific points in the meridians where Chi can be accessed and stimulated when there is an aberration of flow. Those points are commonly called "acu-points." Over time, many more points have been discovered. Patients who have received inoculations or other medical injections from a hypodermic needle are sometimes fearful that acupuncture treatments will be as painful. But such is not the case. Medical hypodermic needles are stiff, hollow, and thick for forcing liquid into the patient's flesh, usually an uncomfortable, if not painful, procedure. 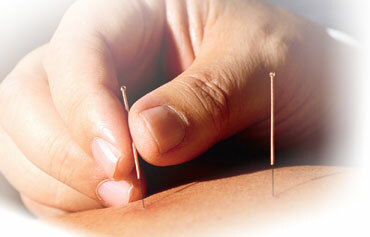 Typically, acupuncture needles are fine and flexible, no bigger around than a human hair or piece of thread. Deftly inserted into an acu-point by a skilled acupuncturist, the slender needle produces little or no sensation at all. When the needle makes contact with Chi, the energy, most patients experience a slight tingling sensation. First time patients are usually amazed at how comfortable they are during treatment. The first thing you will do is fill out an intake form which will help the acupuncturists with the diagnostic procedure. From its ancient beginnings to this day, acupuncture diagnostic procedures center on finding blockages and imbalances of Chi. The following outline gives only a glimpse into some ancient diagnostic procedures which, at first, may seem strange to Western patients, although for untold centuries these procedures have proved reliable for Eastern patients. Observation of the Patient - Noting color and condition of the tongue, texture and condition of the skin, of the hair, of the voice - its strength or weakness - high or low pitch - hoarse - throaty. Answers her confirm many health issues. Interviewing the Patient - Seeking a history of the illness, the patient's feelings, lifestyle, diet. All of those, as well as emotional problems may contribute to chi's imbalance. Physical Examination - Feeling for tender acu-points is a reliable diagnostic tool because certain acu-points are related to specific areas and functions of the body, and tenderness may relate to a specific problem. After the diagnostic procedures are completed the acupuncturists will insert the hair like needles and have you rest. The lights will be lowered and soothing music will be playing. Most patients become so relaxed that they tend to fall asleep. The needles are left in between 20-30 minutes. After the resting period the acupuncturists will then remove the needles and administer a light massage sometimes followed by the application of heat packs. When your treatment is complete the acupuncturists will assess how you are feeling and go over any additions to your treatment plan.